Polygraph UK – Can You Pass The Test? 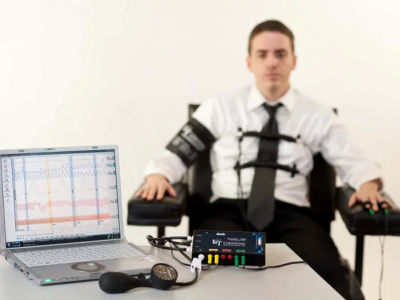 Polygraph examinees will maximize their chances of producing a highly accurate and favorable test outcome if they are behaviorally cooperative during testing. Cooperation during testing contributes to the production of normal and interpretable test data. Despite receiving thorough information during the pretest interview, some polygraph examinees may benefit from additional instruction or admonition, during the in-test recording phase of the examination, about the importance of behavioral cooperation during testing. Circumstances that may require additional in-test instruction can stem from a variety of causes. Some examinees may under-appreciate the seriousness and importance of the information and instruction they receive during the polygraph pretest interview, and may exhibit unexpected intest behavior that could compromise their chances of producing a favorable test outcome. Other examinees may choose to be uncooperative during testing – with the goal of disrupting or interfering with the effectiveness of their polygraph test results. Other conditions may also manifest in observable problems with an examinee’s intest behavior. Regardless of the cause, all counterproductive in-test behavior can result in an examiner providing additional in-test instruction, information, or admonition in attempt to help the examinee cooperate more successfully. Innocent and truthful polygraph examinees can benefit from an examiner’s in-test instruction if the information is provided in a helpful and professional manner that neither compromises the objectivity of the test nor further disrupts the examinee’s ability to cooperate and attend to the testing context. Of course, or some examinees – especially those whose non-cooperation disruptive behavior is strategic or intentional – it is possible that no amount of additional information will improve their in-test behavior and cooperation. 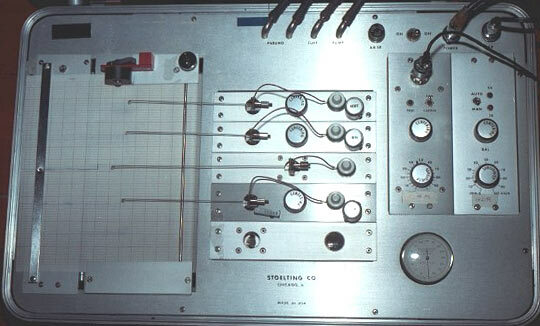 Some deceptive examinees, and some characterological manipulative individuals, may approach the polygraph test with a conscious plan or strategy to attempt to circumvent the effectiveness of the examination. It is also possible that some intuitively manipulative persons may prefer to approach the testing context without a fixed plan, and may instead adapt their disruptive strategies in-situ to the persona and style of the examiner. All polygraph examinees who are intentionally disruptive or manipulative may share common goals or employ common strategies. 4) adopting a form of victim-stance based on the premise that observed problematic behavior and non-cooperation is the result of over-stimulation by an authoritarian, confrontational or accusatory examiner. In the absence of clairvoyance and mind-reading capabilities, it will be generally impossible for an examiner to know the exact cause of any observed disruptive in-test behavior with absolute certainty. 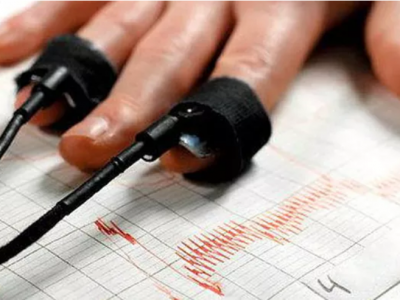 For this reason, skillful polygraph examiners will attempt to address all counterproductive in-test behavior in a calm, rational and professional manner that will be helpful to examinees who desire to cooperate successfully. The manner of in which an examiner addresses observable problematic in-test behavior should not contribute to other secondary problems such as an examinee becoming increasingly focused on, or fearful of, the examiner instead of attending to the test stimuli. Done effectively, in-test instruction and admonition can be an addition source of useful for both structured analysis and unstructured professional intuition about the likely causes of an observed in-test behavior. Possible causes, in simplistic terms, can include systematic or strategic intent to disrupt the test, but may also involve random or involuntary factors. The challenge will be for an examiner to differentiate between examinees’ who cannot cooperate from those who will not cooperate. Give in-test instructions in a manner that is helpful to the examinee and respectful of the examinee’s human dignity. Refrain from accusing the examinee, during the in-test phase, of intentional disruption. Instead, confrontation and accusation may be more appropriate during the posttest, after the completion of the recording and analysis of all test data. Give in-test instructions in a manner that conveys an interest in the most favorable test outcome for the examinee. Do not confront observed problem behavior in a manner that is likely to result in interpersonal reactivity or fear of the person or persona of the examiner. Give in-test instructions in a manner that conveys information that the examinee can use to make effective and cooperative behavioral choices during the test. Refrain from attempts to guess or describe precisely what behavior an examinee may have engaged in. Repeat any in-test instruction once if necessary. Do not escalate the intensity of any repeated instruction, and do not give in-test instruction more than twice. Instead, all in test instructions and admonitions should be provided with the same neutral and authoritative attitude of respect. Annotate all in-test instruction and admonitions. Continue to annotate without additional instruction if an observed problematic or non-cooperative behavior persists after two in-test instructions. Consider terminating and re-starting a chart if a problem can be rectified with additional discussion or instruction. Do not arbitrarily render a deceptive conclusion prior to the recording and analysis of all test data. If necessary, stop the exam and review the information and instructions so that an examinees will know how to cooperate successfully if they wish to do so. Document in the polygraph report any disruptive or non-cooperative behavior that was observed to persist after repeated admonition or instruction. Do not summarily terminate an examination due to persistent non-cooperation. Premature termination of an examination may be necessary in extreme cases, but may result in a lack of recorded data to support an analytic conclusion or professional judgment about likely causes of the observed problems. Examples of effective in-test admonition and instruction. It is important that you do not move during the test. It is important that you do not change your answers during the test. It is important that you do not talk during the test. It is important that you do not take deep breaths during the test questions. This manner of in-test instruction is informative and helpful to those polygraph examinees that desire to cooperate successfully with the testing process. 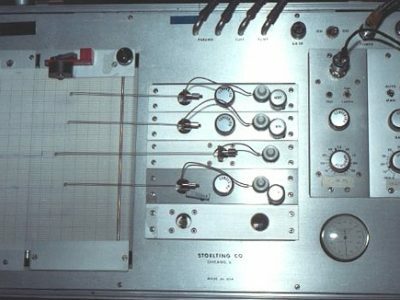 Though there are times and places where direct confrontation (i.e., pointing out a problem) is useful and effective, during the in-test phase of a polygraph exam – prior to the complete recording of all test data – may not be an ideal use of a communication strategy that involves the expression of a professional conclusion. 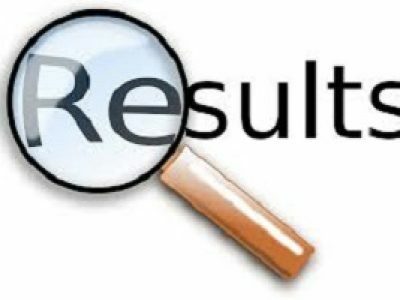 Conclusions about the meaning of observed in-test behavior and recorded test data cannot be rendered until the test is complete. Effective in-test instructions will be provided in the form of important information that is strategically and intentionally non-confrontational and non-accusatory. This type of instruction can also be used to reinforce an examinee’s awareness of the importance of cooperation during testing, even in the absence of problematic in-test behavior. Virtually any in-test instruction or admonition can be stated in an informative manner. In-test instructions done in an informative manner – “It’s important that you X” – may improve the abilities of truthful persons to produce favorable test outcomes. Compared to direct and accusatory confrontation, this manner of instruction is authoritative without becoming authoritarian. This type of in-test instruction serves to inform the examinee about the solution or corrective action that is needed. Equally important, the provision in test admonitions in the form of useful information is not likely to result in increased defensiveness and interpersonal reactivity. For normal functioning examinee’s who are provided in-test instruction and admonition in a helpful, respectful and informative manner – in addition to receiving clear information and instruction during the polygraph pretest interview – the persistence of observed problematic behavior after repeated instruction can be documented in the examination notes or examination report. Of course, there may be some persons examinees who are unable to cooperate normally with polygraph testing processes due to medical, psychiatric or developmental reasons, and examiners should exercise due caution in any decision to attempt to examine these persons. When in-test instructions are provided in a helpful and informational manner that reduces the potential for defensiveness or interpersonal reactivity, the persistence of observed problematic in-test behavior can become a useful basis of information to support professional intuition or analytic conclusions about those examinees whose intent may have been to disrupt the effectiveness of their polygraph examinations.